The ACGC track and field team has earned several high marks throughout the early weeks of the 2019 track and field season. 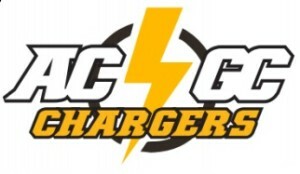 While Charger athletes have earned plenty of gold, silver, and bronze medals, another accomplishment was reached by an ACGC freshman earlier this month. Chloe Largent raised the bar for the ACGC girls high jump record when she leaped four feet, ten inches at the Kip Janvrin Invitational on April 2nd. The previous record was held for two years by Mady Smith, who leaped four feet, eight inches at Panora on April 4th, 2017. That jump by Largent earned her a silver, only behind Panorama’s Morgan Johnk. The mark currently ties largent for 18th best in Class 2A and tied for 3rd in the West Central Activities Conference. Largent also has the top mark this season for the gold and black in the long jump, reaching just over 13 feet, at Earlham on Tuesday. The girls were set to compete last night at the annual Charger Girls Invitational, but weather claimed that event for the year. Next up for the ACGC track and field teams is Greene County for the boys and Bondurant-Farrar for the girls on Monday.